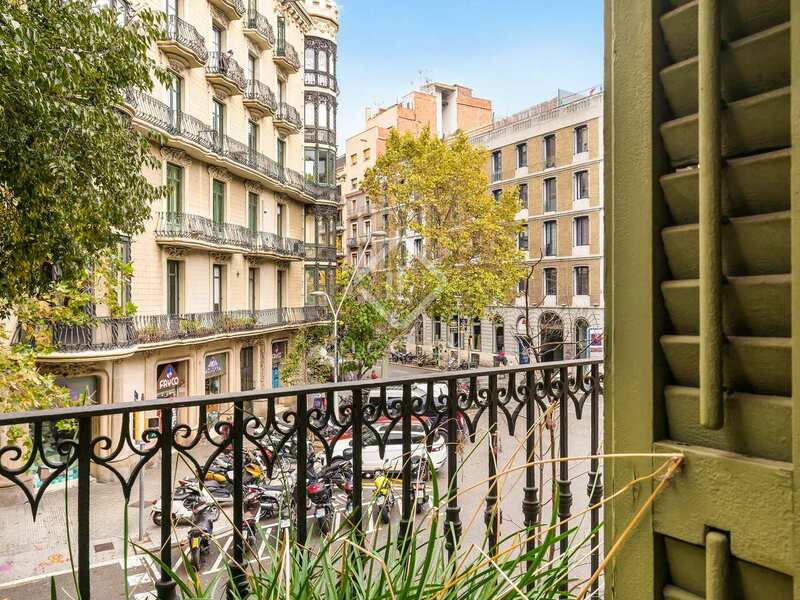 Renovated apartment in a classic building with balconies and a terrace, for sale in the centre of Barcelona. 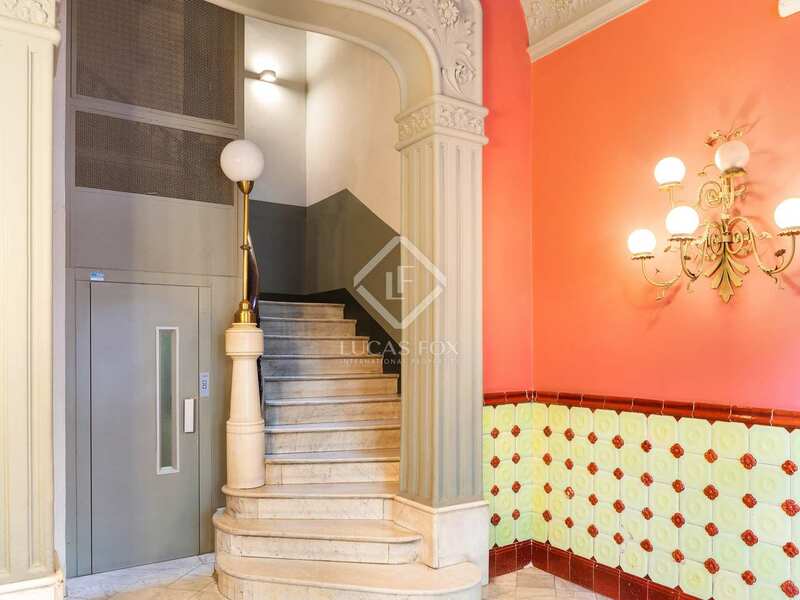 This magnificent luxury apartment is located on the principal floor of a stately building. 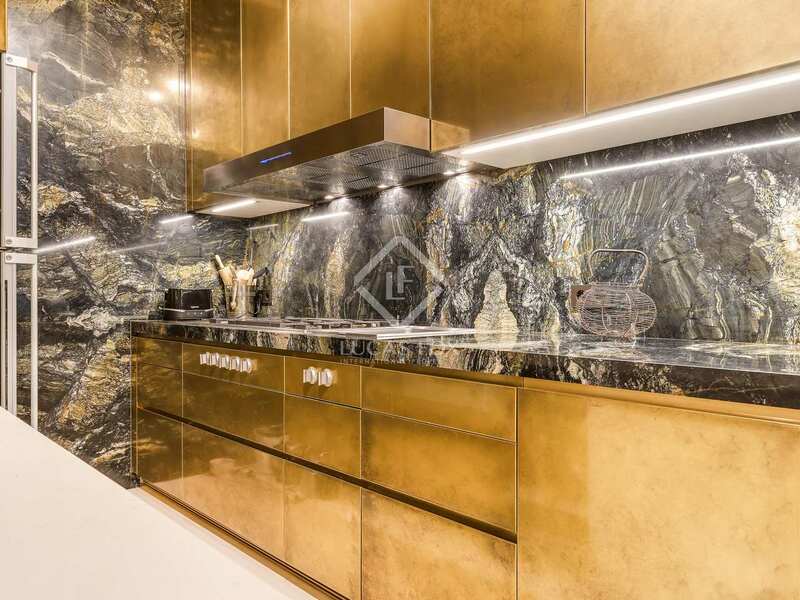 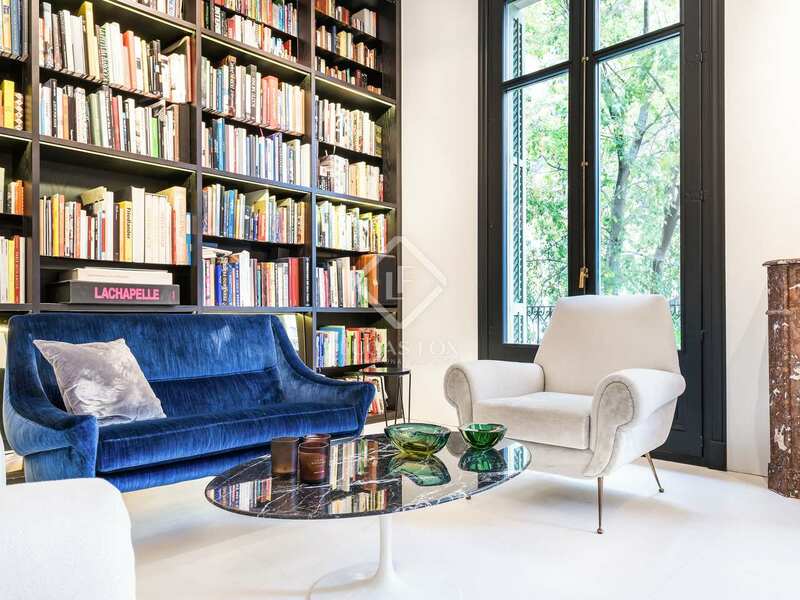 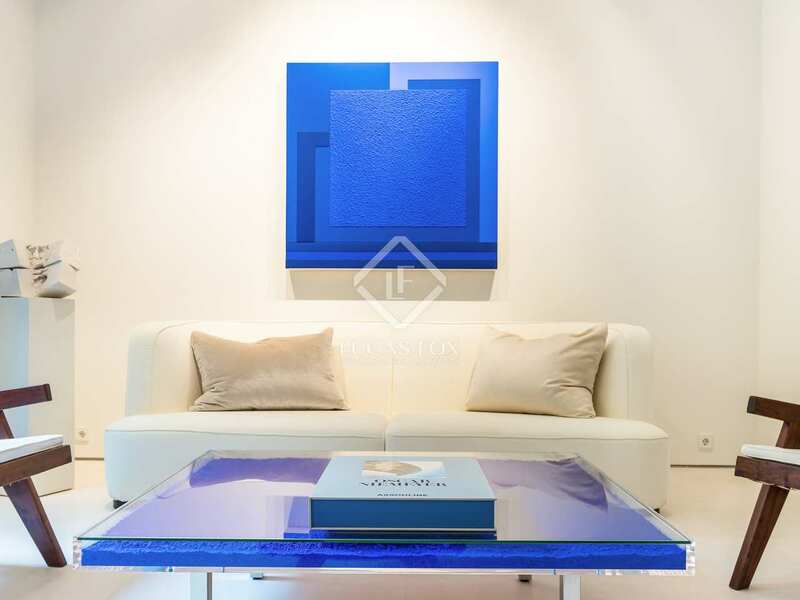 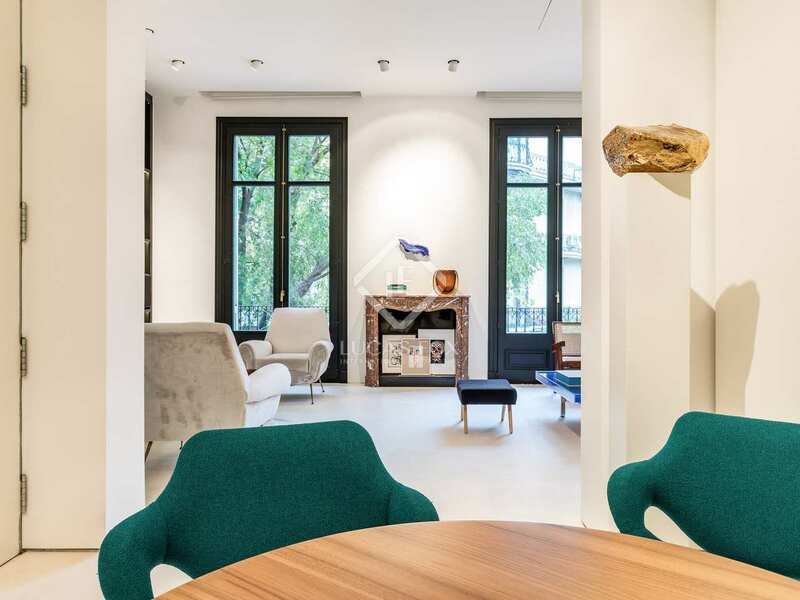 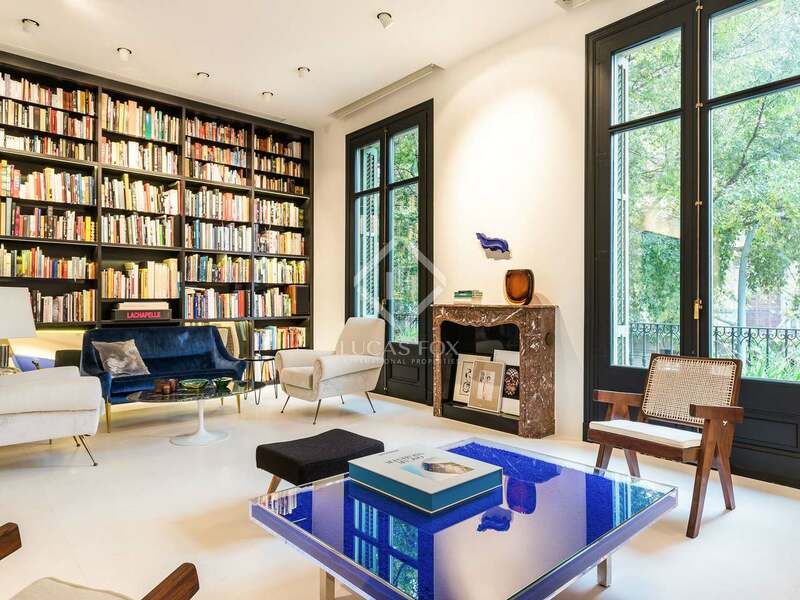 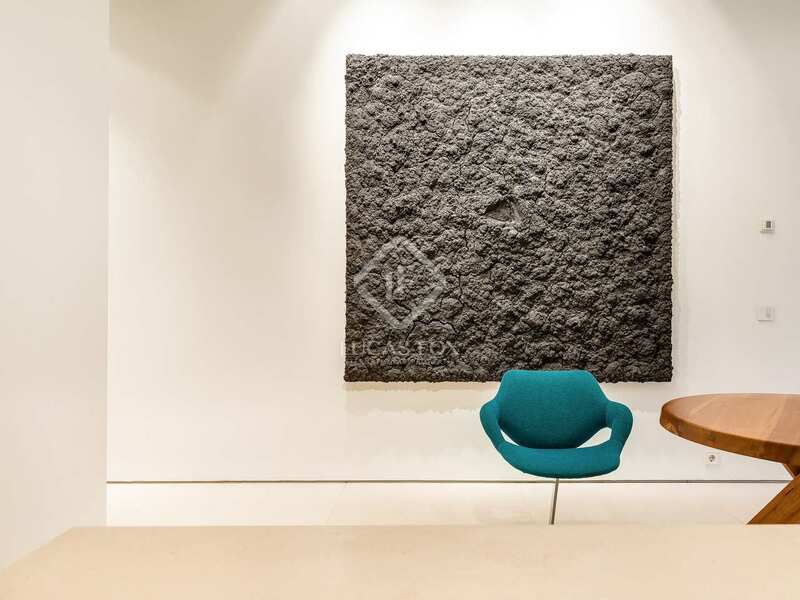 Dating back to the 1900s, the property was renovated in 2009 by prestigious interior designer Jaime Beriestain who selected finishes and materials of the highest quality. 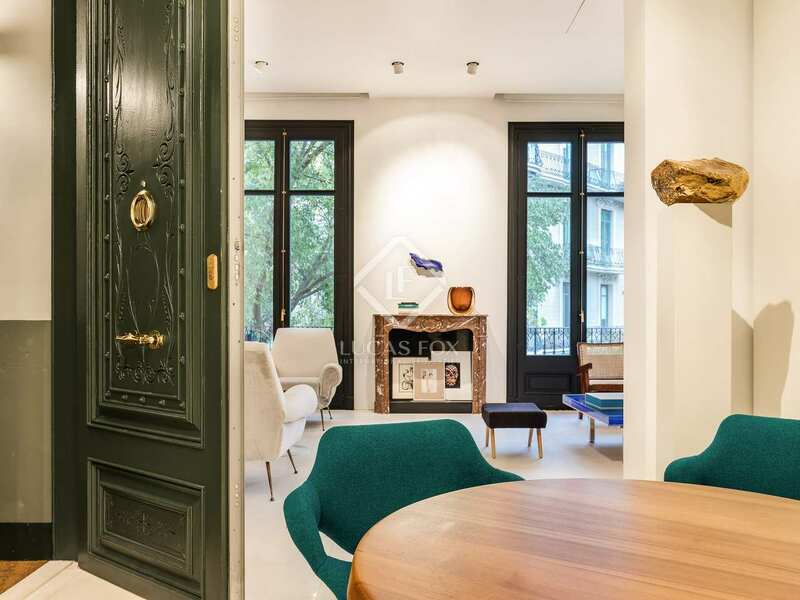 The exclusive apartment has 3.5-meter-high ceilings and a traditional reinforced entrance door which add to this property's unique charm. 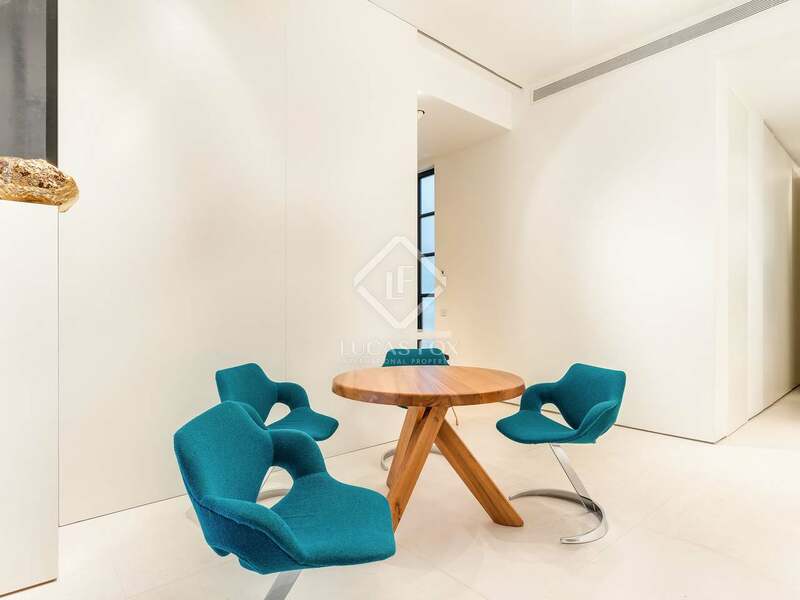 In addition, as it does not have direct views onto any other buildings, it offers great privacy and tranquillity. 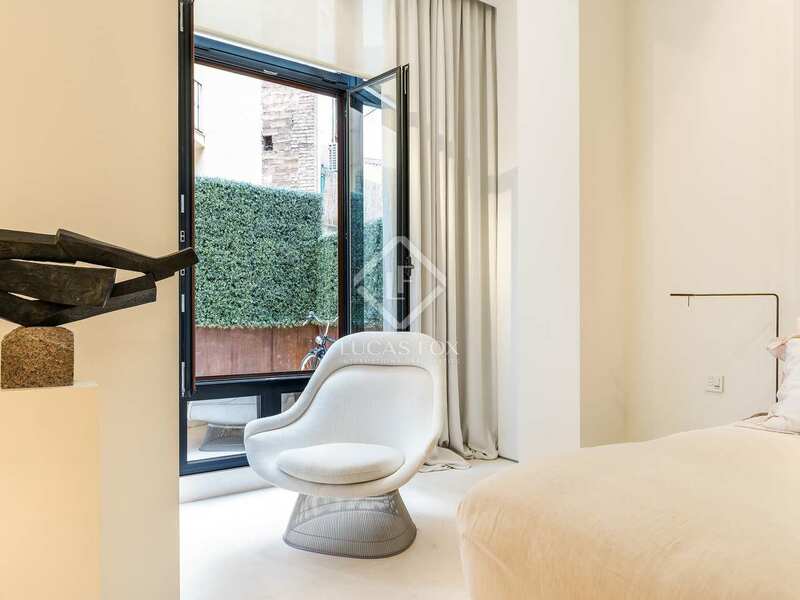 The bedroom has a private bathroom, dressing room and access to an 11 m² terrace. 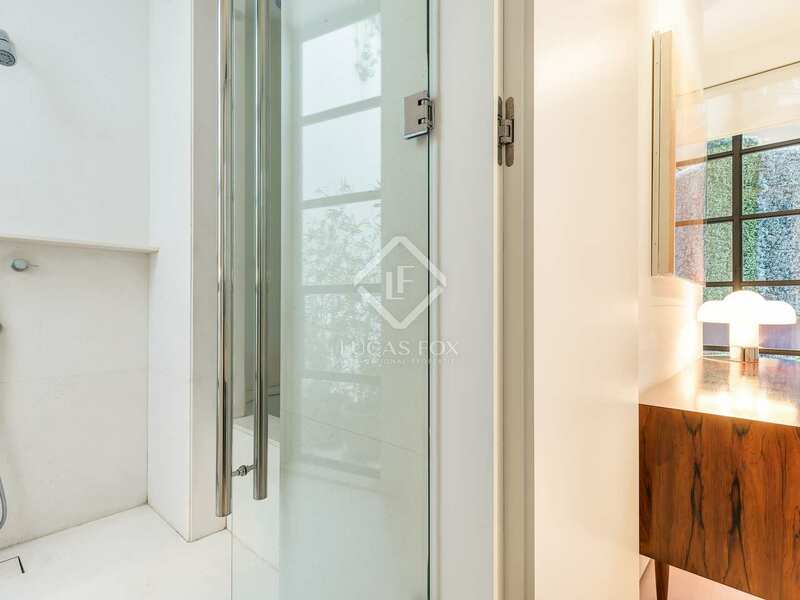 A laundry area and a guest toilet complete the layout of this very comfortable home. 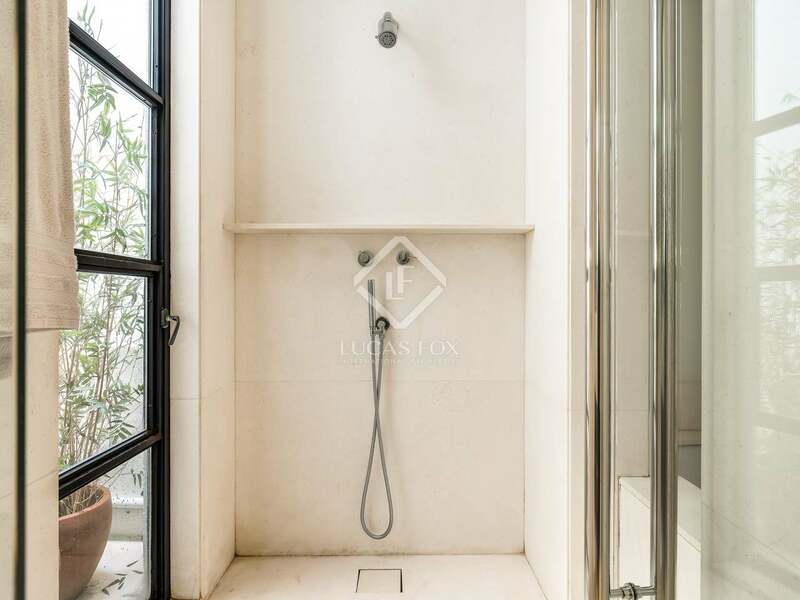 Limestone porcelain stoneware flooring with underfloor heating is found throughout the property and there is also an air conditioning system with cold-heat pump and double-glazed windows. 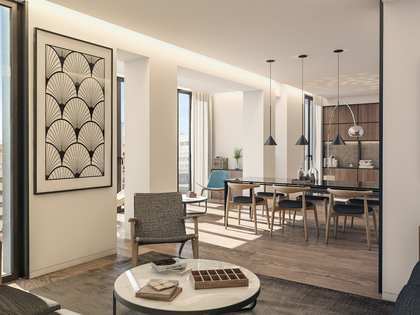 There is acoustic insulation, a Lutron home automation system that controls the lighting and curtains, and reverse osmosis and water decalcification systems. 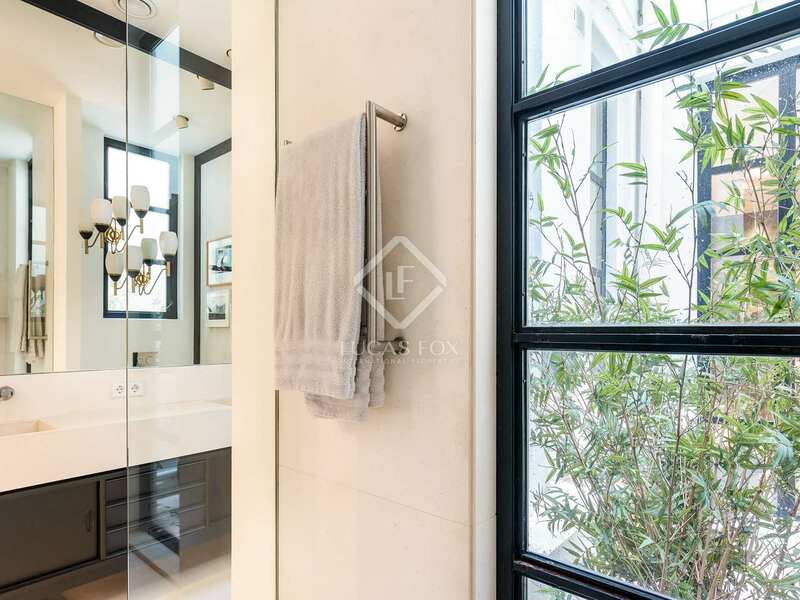 The building has undergone a technical inspection (ITE) in recent years and the rear façade has been renovated and installations updated. Finally, for optimal ventilation, each of the rooms opens onto the building's various courtyards, all can be walked through and have garden areas adding a wider visual aspect to the spaces. 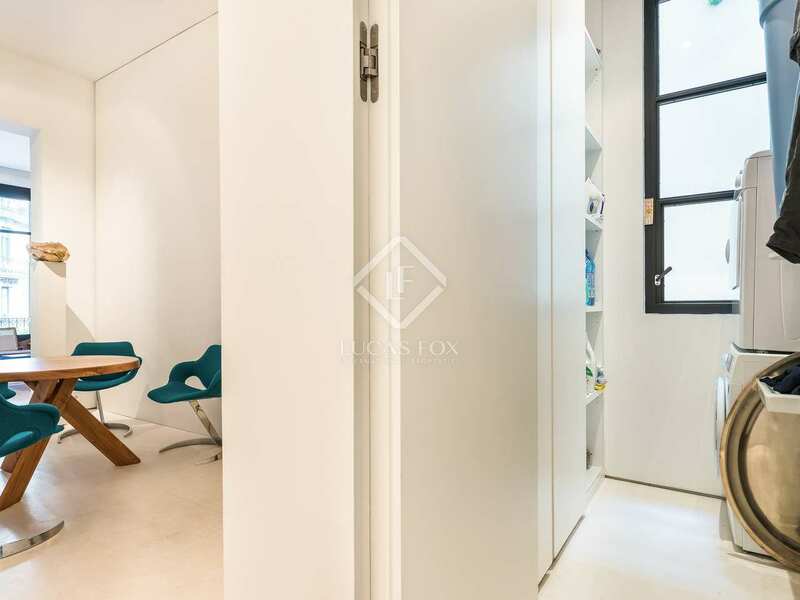 A 5m² storage room on the communal terrace is included. 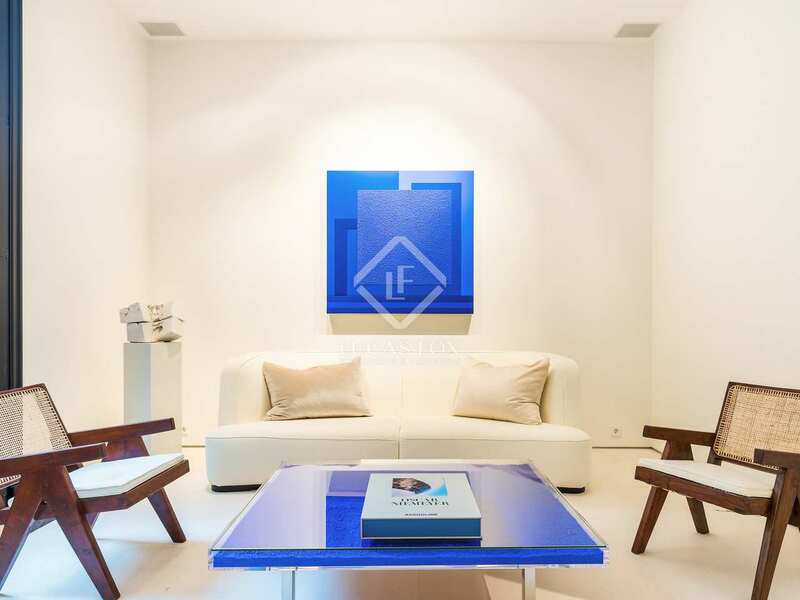 Contact us to visit this magnificent apartment. 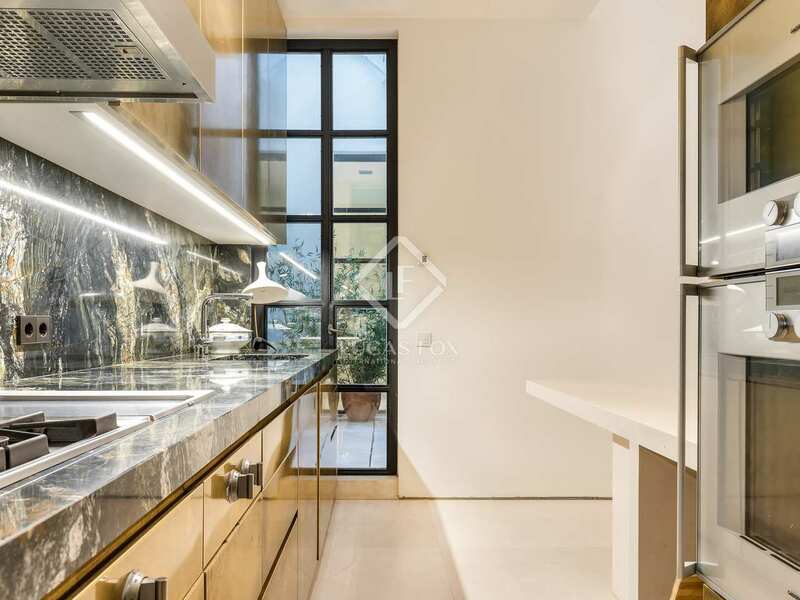 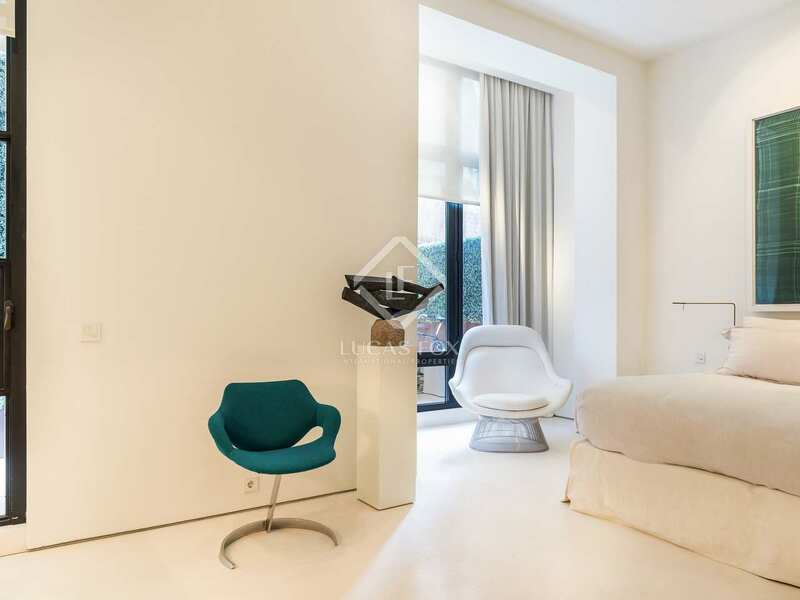 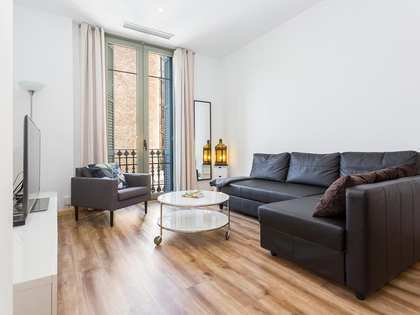 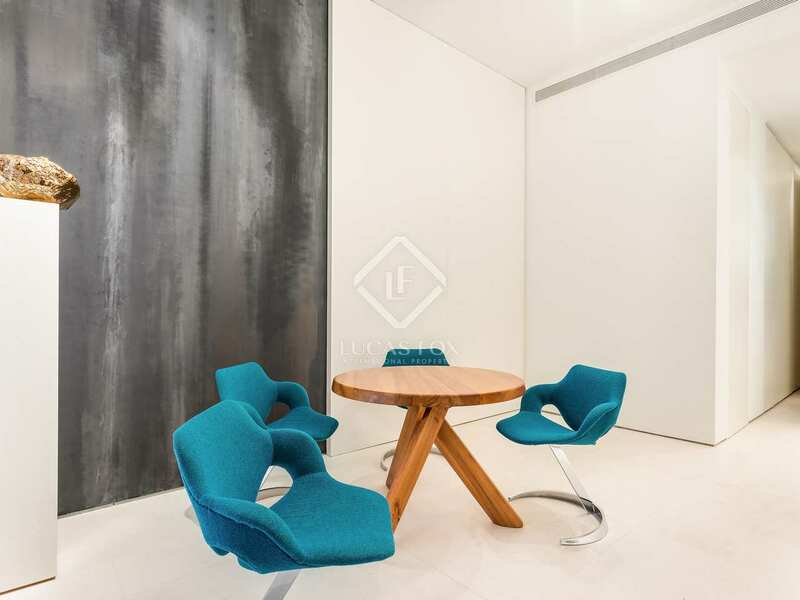 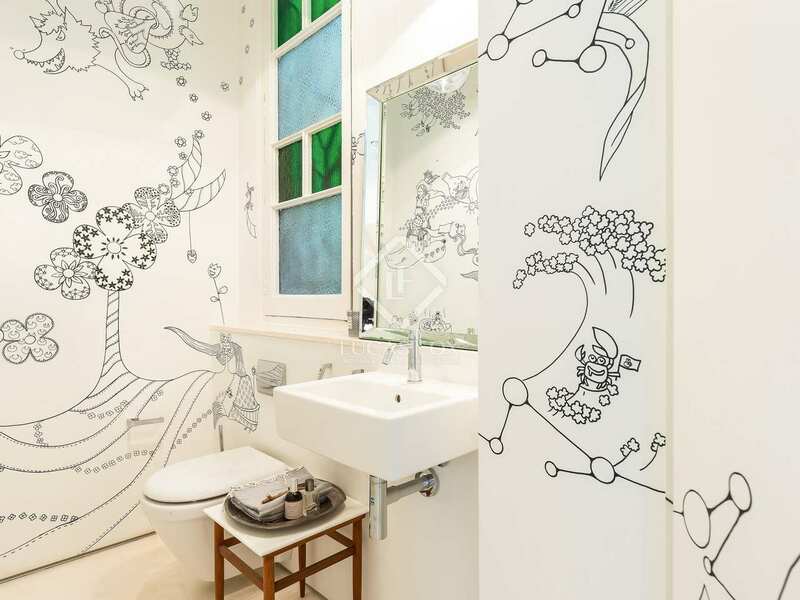 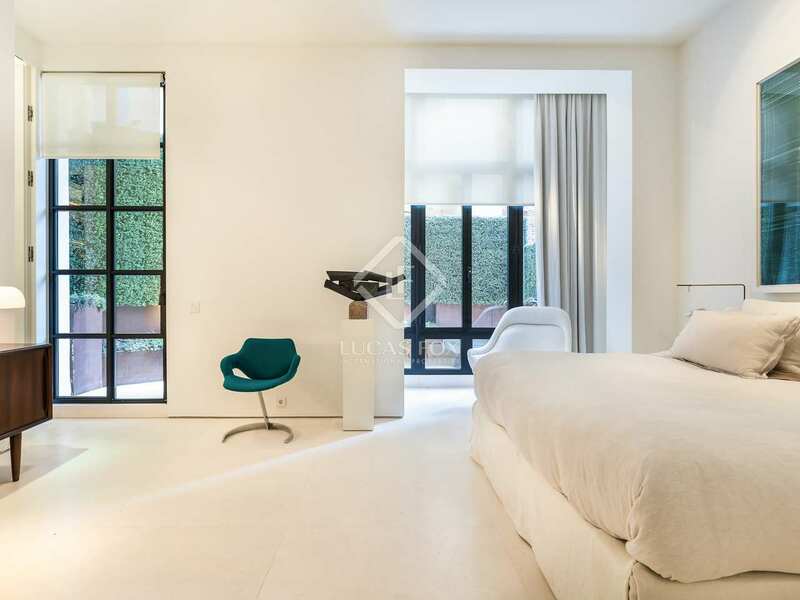 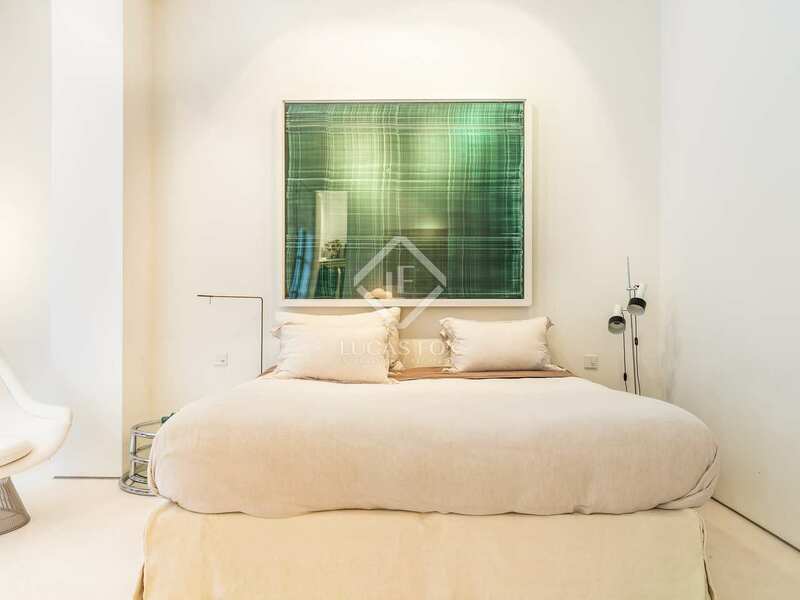 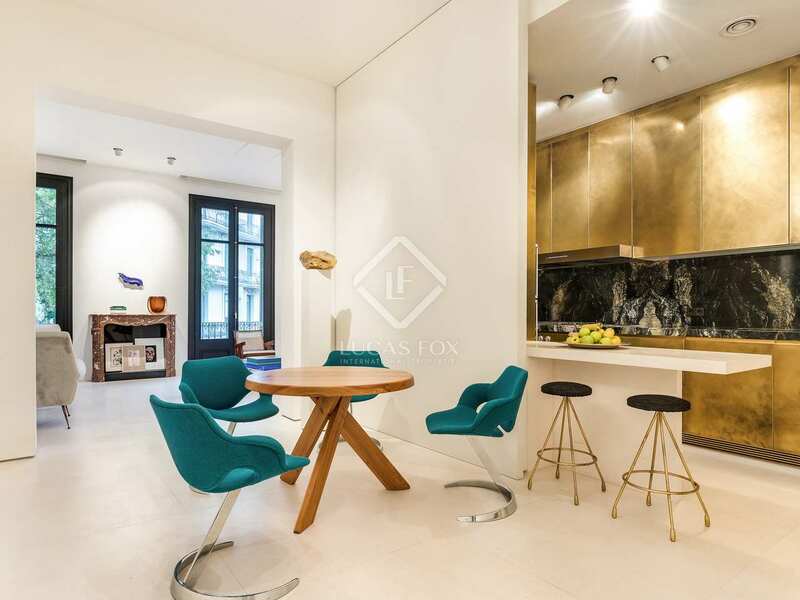 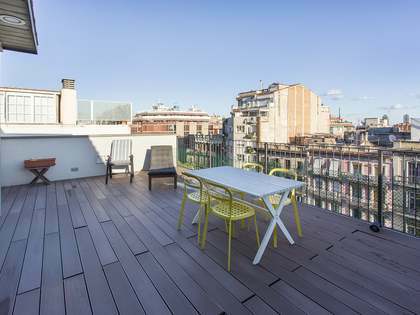 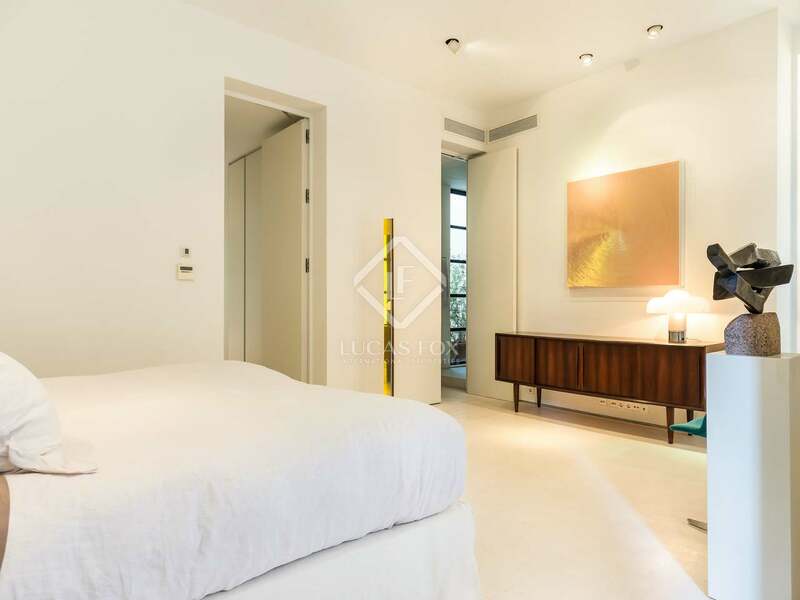 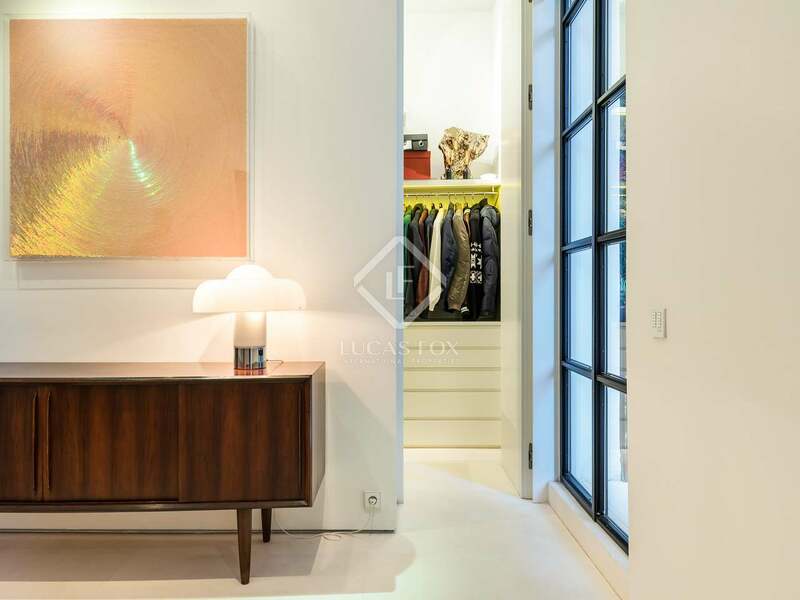 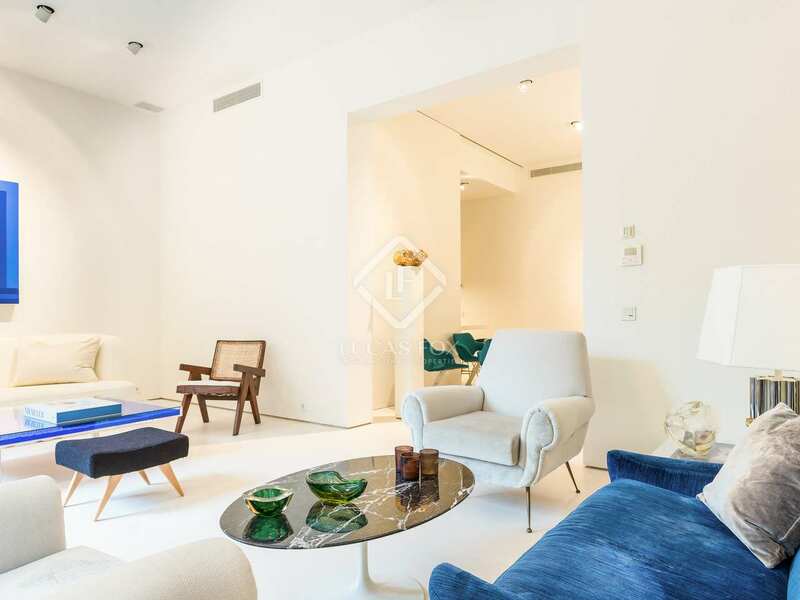 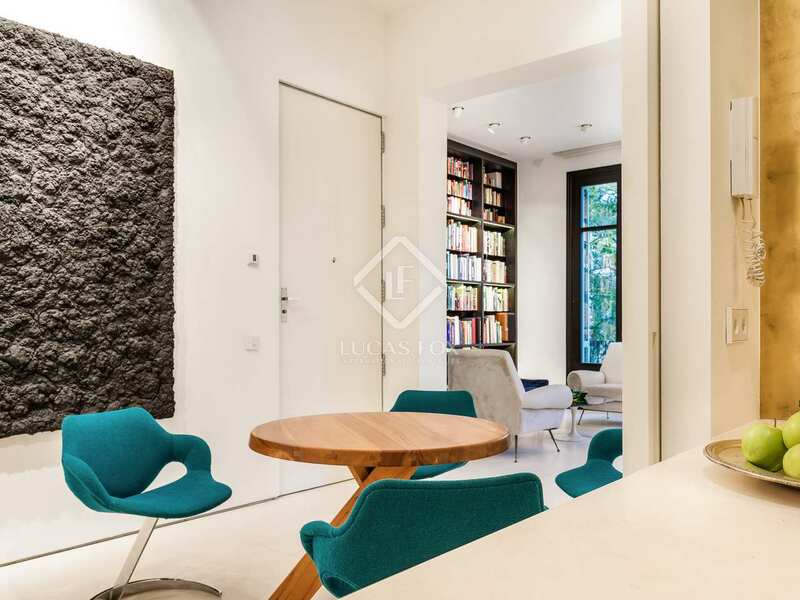 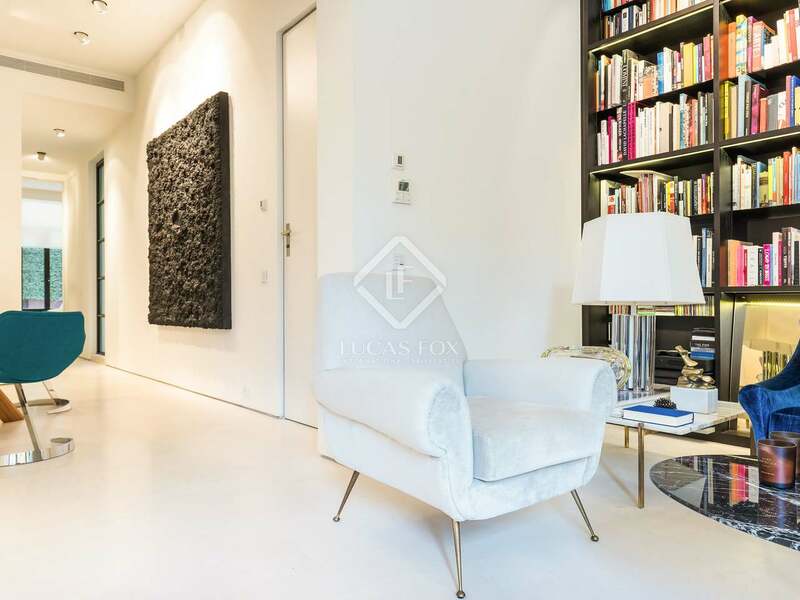 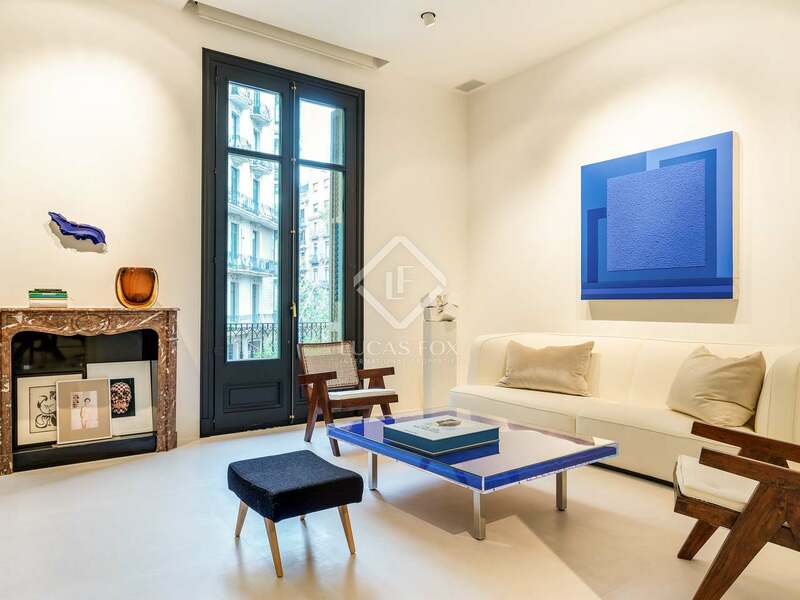 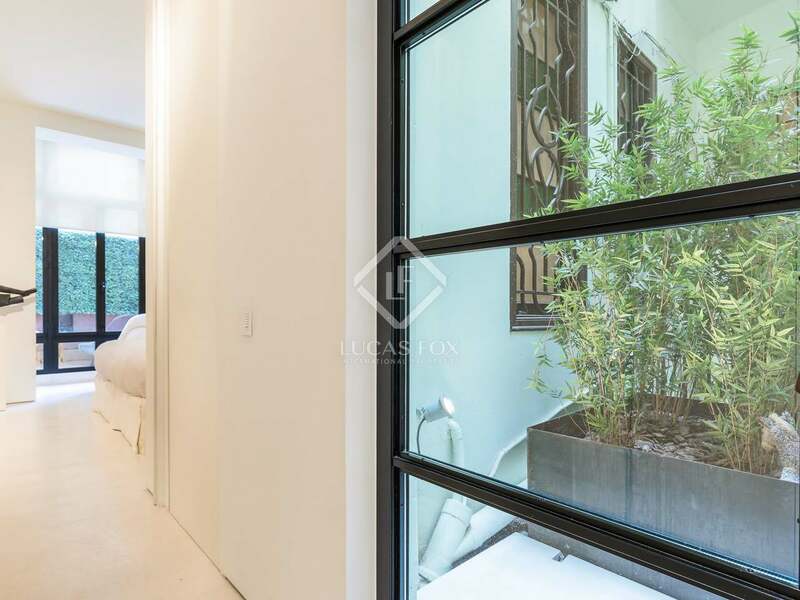 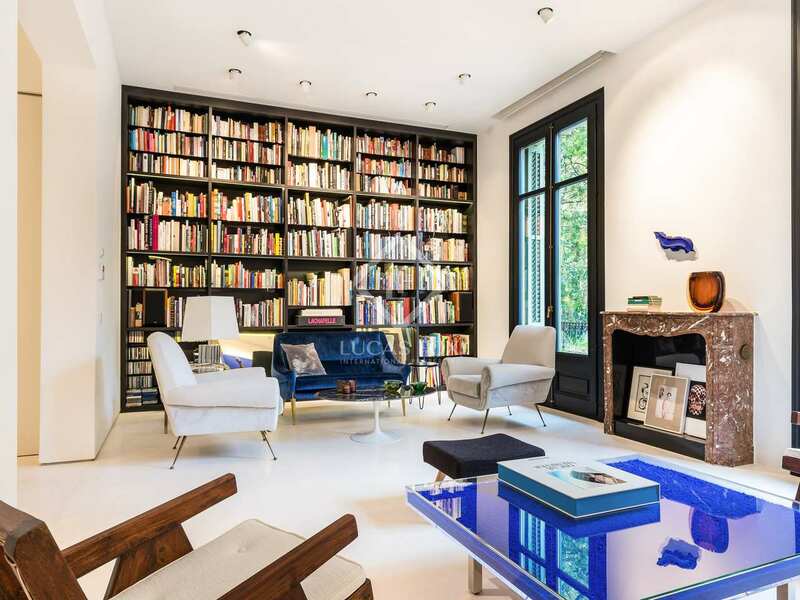 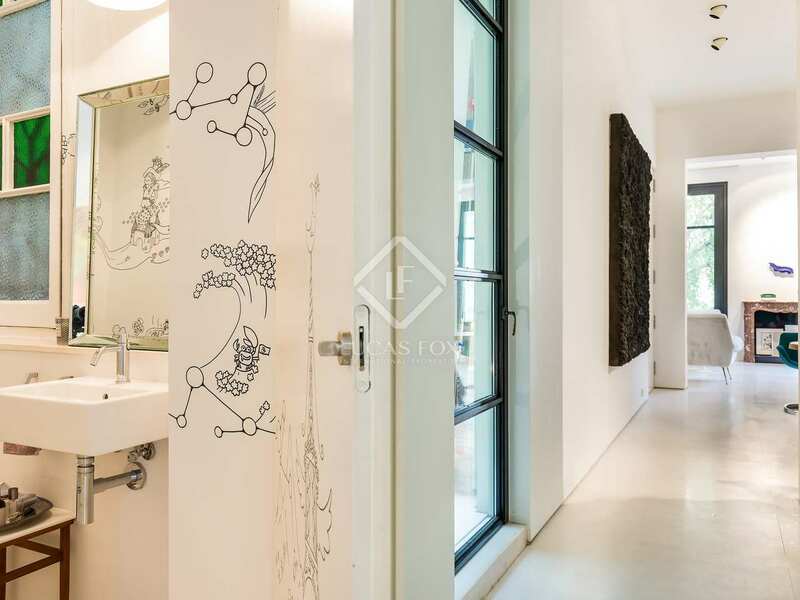 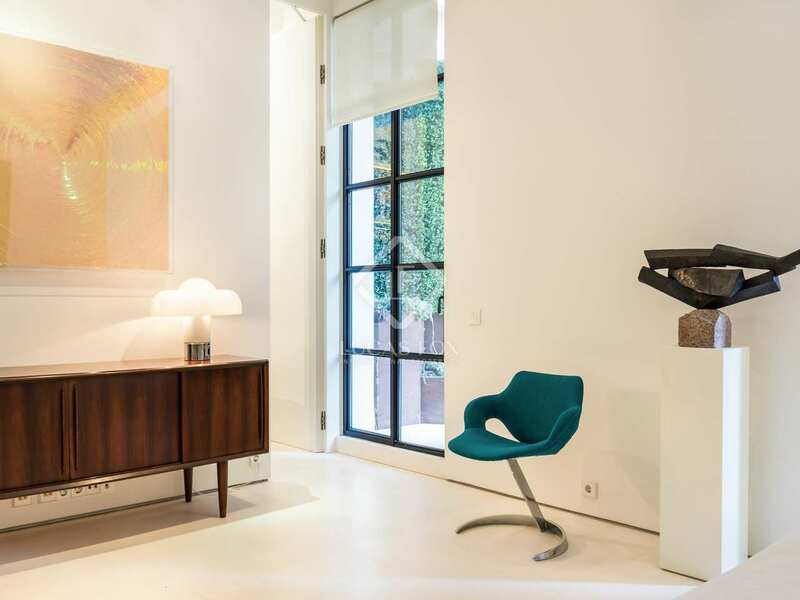 Property located in Eixample Right, one of the most sought-after areas of Barcelona. 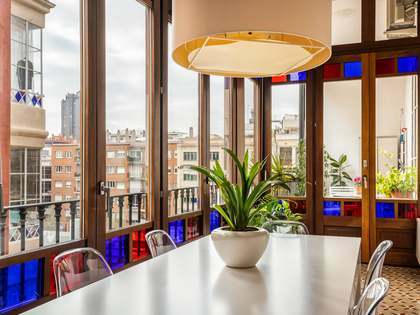 The neighborhood offers all the services you may need (restaurants and bars, entertainment, health services, schools, shops, etc.) 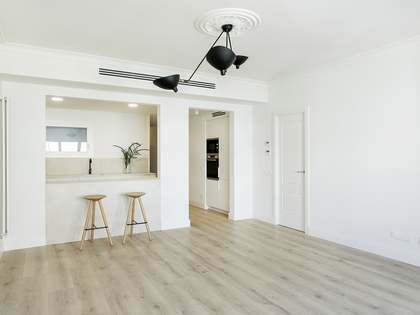 and is very well connected by public transport.